Start your day with a burst of energy! 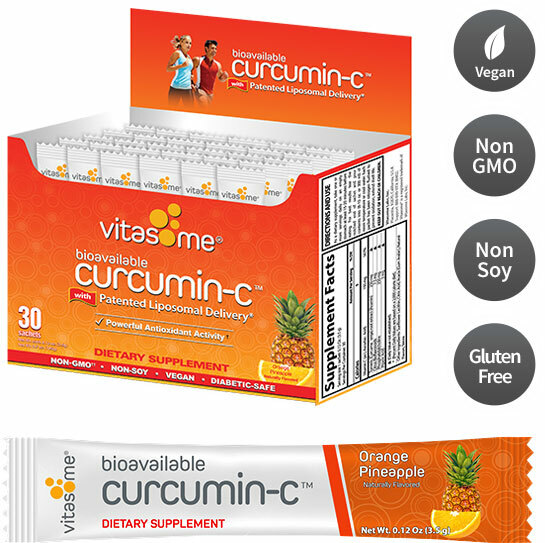 Curcumin-C has been a huge part of my recovery. In a short amount of time I went from not being able to stand up right for more than 30 minutes to being pain free. We are in our 50’s but with age comes more aches and pains, especially in the lower back areas. 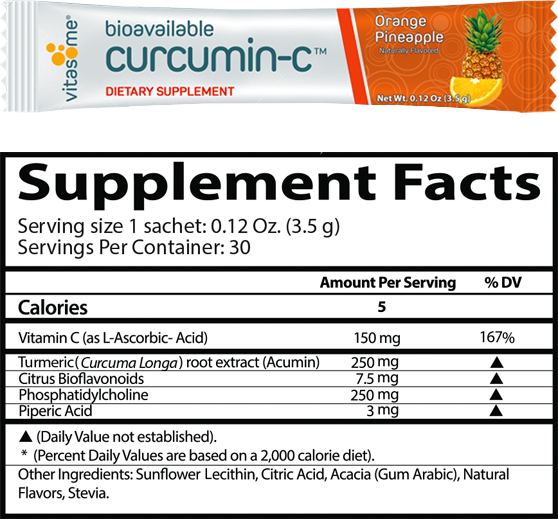 Both of us stopped taking Advil the first day of taking Curcumin-C.
On average, only 10% of the nutrients in most vitamins retain their potency after digestion, which means up to 90% is literally flushed away. 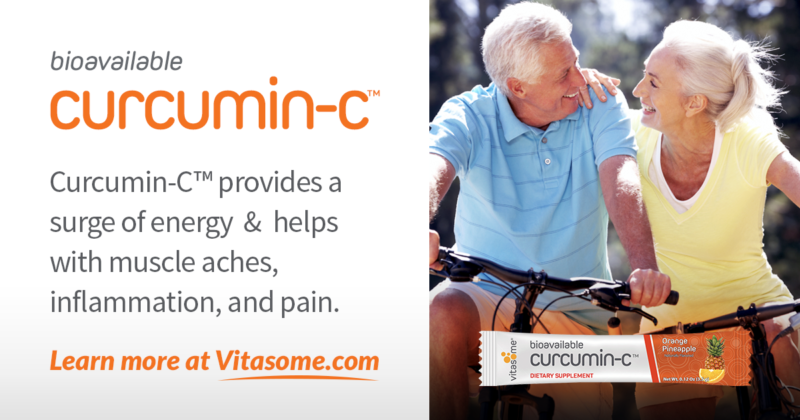 Unlike other vitamins, Curcumin-C has a unique construction which delivers micronutrients directly to your body’s cells, at the molecular level, providing superior absorption and less waste of ingredients. Suggested Use: As a dietary supplement, take one or more servings daily on an empty stomach at least 15-20 minutes before eating. For best results tear the notched end of sachet and pour contents into (8-10 ounces or 300 ml) of room temperature or cool water. Each packet has been nitrogen flushed to prevent oxidation, extend shelf-life and protect product purity.